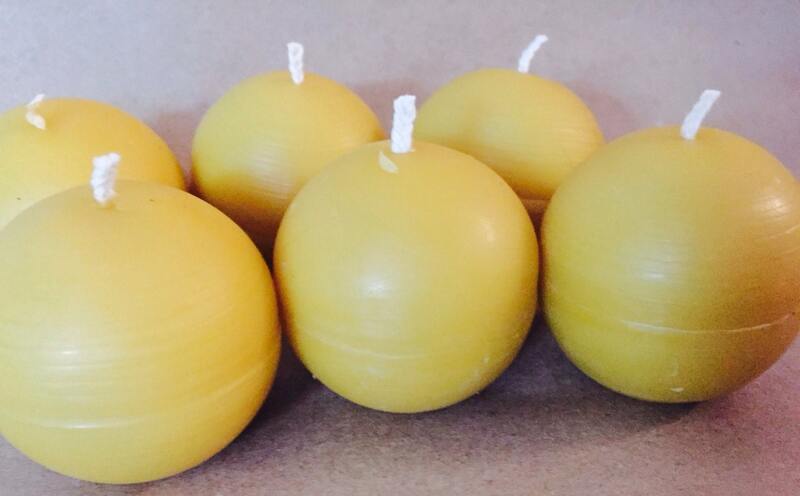 Set of 6 pure organic beeswax sphere candles. They are 1.5" in height and width. They will add warmth and elegance to any setting. They will float or stand alone. As they burn they consume themselves so there is no drip. 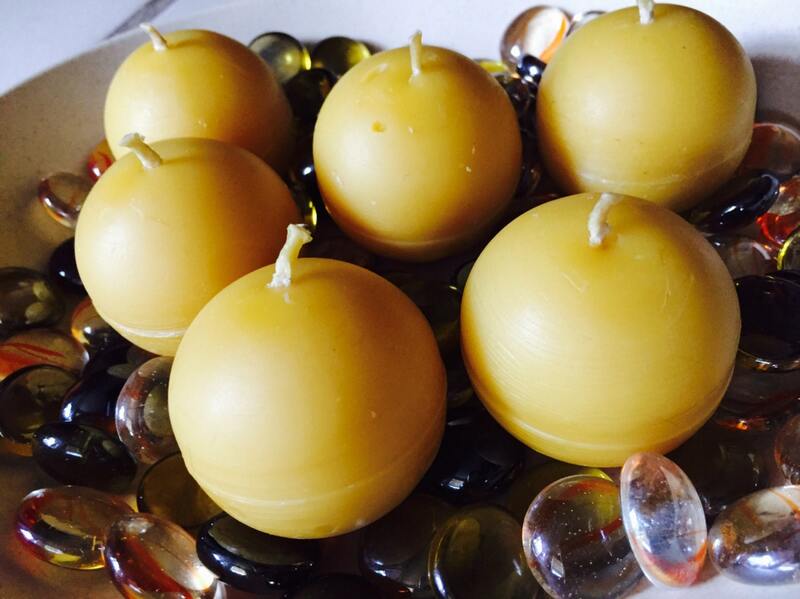 They are made with pure unscented beeswax and an all cotton wick. They do release and warm honey smell. 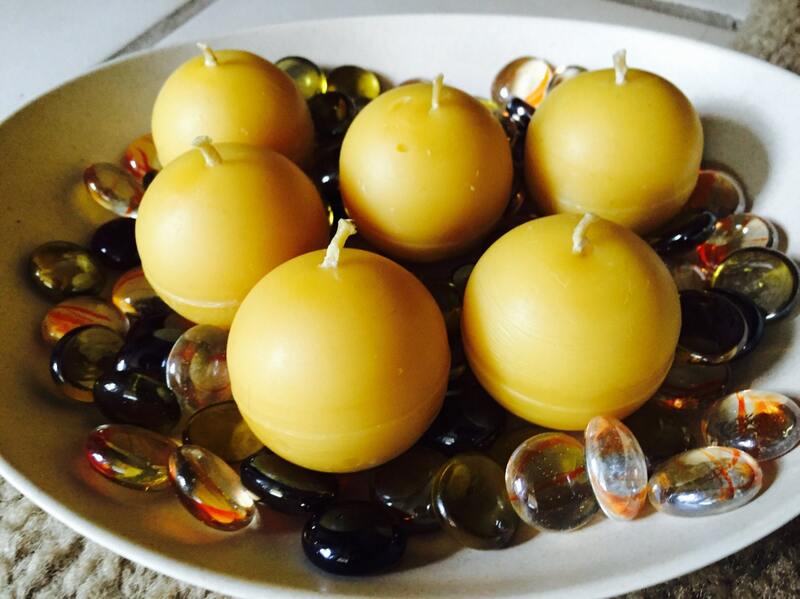 You can put them on your dinning room table and light them and never worry about a waxy mess. All of my beeswax is locally sourced from a bee farm right here in Georgia. 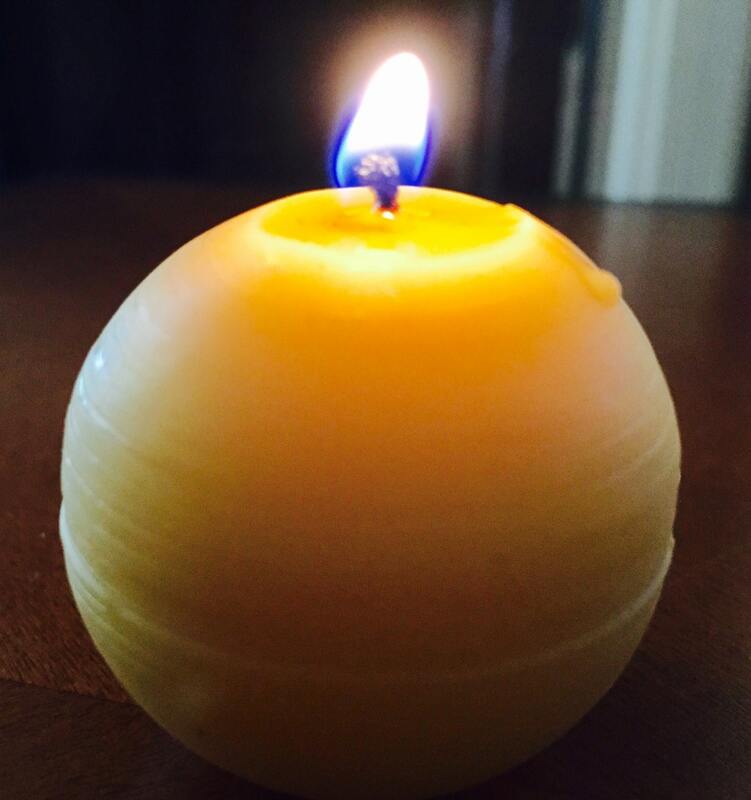 Trim the all cotton wick to 1/8-1/4 inch EVERY TIME you light it. 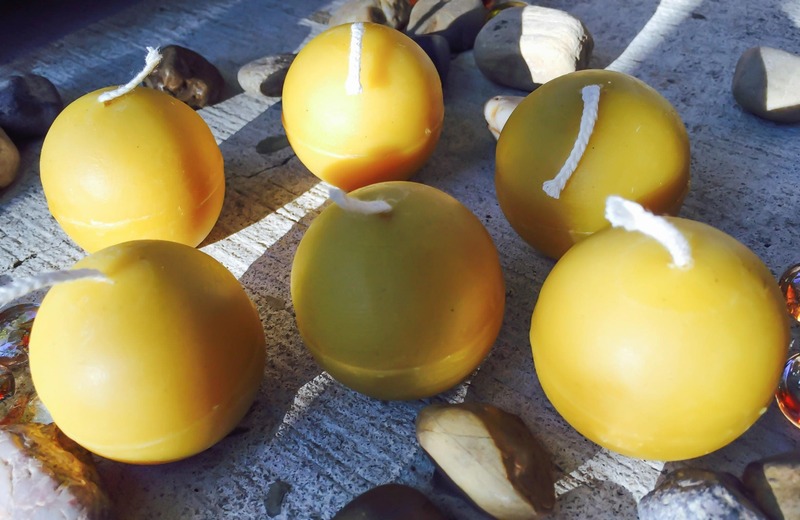 The candle is engineered to burn down into itself consuming all of the wax when burned properly. Make sure to always burn it away from drafts or it won't burn evenly. Very nice candles for my candelabra. Smell wonderful! I bought these candles for a specific candle holder and they are not 1.5", but more like 1.75", so they don't fit in my holder quite right. I have burned one only part way so far and it seems to be working fine. If I can update my review after burning them longer, I will. Love these candles. They are slow burning and well made. My only qualms -- because of their shape it is just slightly more challenging to position them depending on where you burn them. But they don't roll or move once they are placed on a surface. The packaging could have also been more secure, the box was a little big and the candles moved around and rolled out of the silk baggy inside the box. I'll definitely be buying these again!